We are grateful every day that you help us lift people up and build brighter futures for our neighbors. If you would like information on making a gift of any kind, please call us at 518-399-4624, visit one of our offices, or contact us online. Thank you! Do you want to improve the lives of people in our community? Gifts Of Cash - GIVE SIMPLY! Send checks payable to CAPTAIN CHS to 543 Saratoga Road, Glenville, NY 12302. You can also donate immediately online by clicking "DONATE" in the upper right-hand corner of this page. Host an Event by Others - ARE YOU MOVED BY OUR MISSION? Individuals and businesses in our community are very generous to CAPTAIN CHS by hosting a fundraiser. The event can be as simple or elaborate as you'd like -- a raffle, bake sale, proceeds from selling a specific item, a luncheon, and more. If you are interested in hosting an event, or learning more about this opportunity, please contact us at 518-399-4624 or by clicking here. Donor Advised Funds - DO YOU HAVE A DONOR ADVISED FUND? If so, we are actively seeking to become grant recipients of donor-advised funds. Please contact Ava Martin at 518-399-4624 or ava@captaincares.org. - Another way to support CAPTAIN CHS is through gifts of tangible personal property. These gives can be donated to CAPTAIN's Treasures and Karyl's Kupboard, our Emergency Food & Hygiene Pantry. Questions about items? Please contact us at 518-399-4624 or by clicking here. Corporate Matching Gifts - DOUBLE YOUR GIFT! 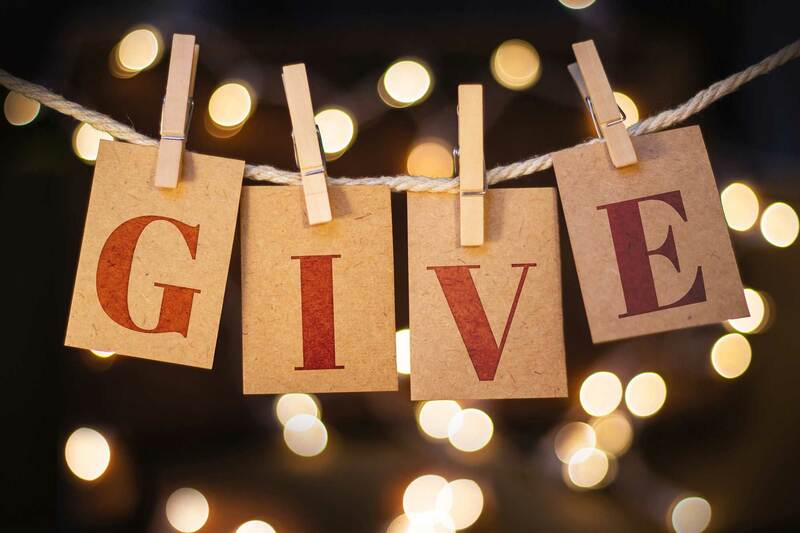 You may be able to multiply the value of your gift by participating in a matching gift program provided through an employer such as General Electric or IBM. Contact your personnel to see if they match! Gifts from retirees and spouses may also qualify for a match. Gifts Of Securities - DO YOU HAVE APPRECIATED STOCKS? These include a charitable deduction for the full fair market value of the gift and avoidance of capital gains taxes. For information, please call CAPTAIN CHS at 518-399-4624. - Any gift may be designated in memory or honor of a friend or loved one. The family of the deceased or person honored will be notified of such gifts. Gifts Of Real Estate - Gifts of homes, farms, and other real property can receive the same tax treatment as gifts of appreciated securities. If property has appreciated over time, its sale may result in a substantial amount of capital gains taxes. If debt-free property is donated, the donor receives a deduction for the appraised value. We encourage real estate gifts that are not subject to liens or restrictions that may affect their market value. For information, please call us at 518-399-4624. CAPTAIN CHS is a qualified charitable organization and meets the standards and requirements of Internal Revenue Code Section 501(c) (3). All contributions are deductible for federal income tax purposes (subject to statutory limitations) and for federal estate and gift tax purposes.